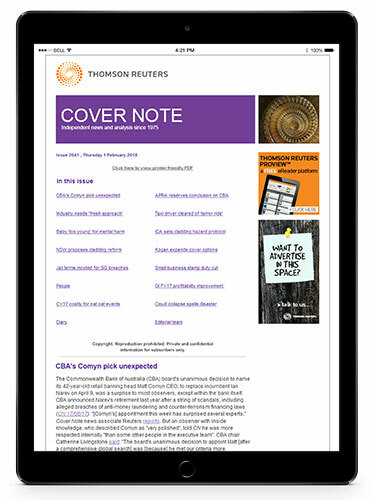 Targeted news and analysis for busy professionals with coverage you can trust. Access independent reports from our editors and journalists on compelling issues in specialist workplace fields including industrial and employment relations, discrimination, work health and safety and workers' compensation. Our Premium Subscription News teams also report on critical regulatory compliance, insurance, industry and government issues.